Do you want an edge with a little more edge? Look no further than the Drop Point Skull Knife. 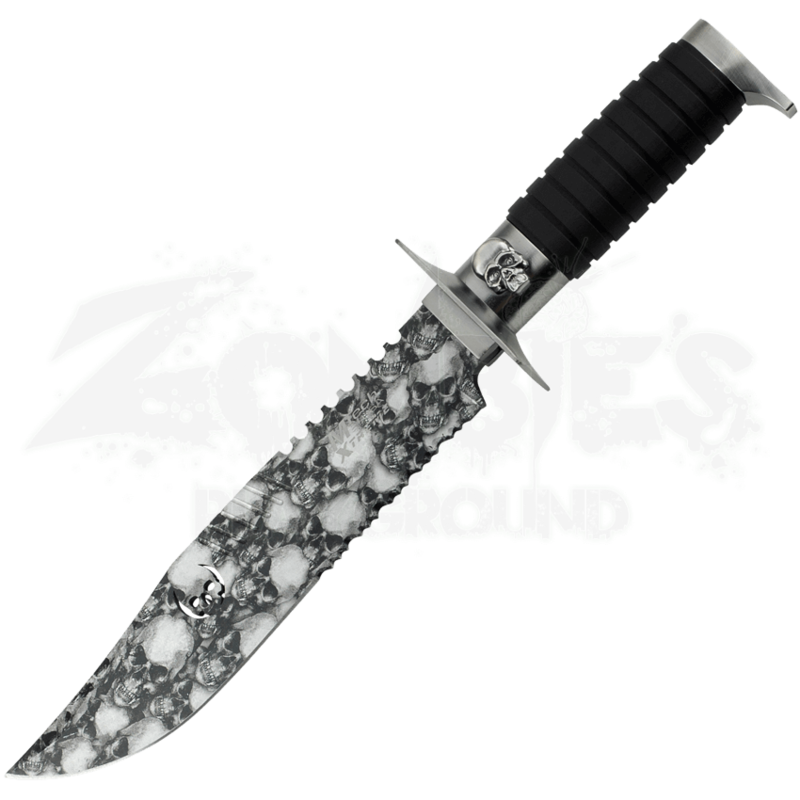 This drop point blade is covered in skull camouflage along with a skull cutout mid-blade. It features half serrations on both the top and bottom of the blade. Below the guard there is a skull emblem leading to the big grip. 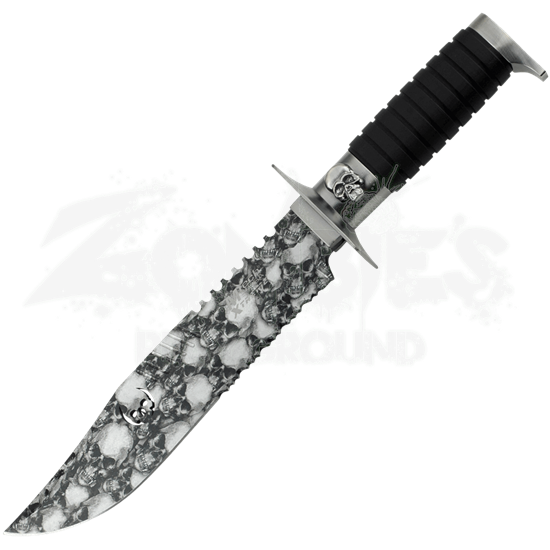 With this blade you also receive a 1680D nylon sheath for safe carrying and storage. Get some edge on your blade with the Drop Point Skull Knife.